The city of Granada is only about an hour and half's drive from Malaga, at the foot of the Sierra Nevada Mountains (Sierra Nevada Ski Station). 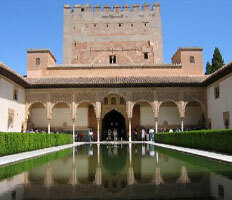 The city's most famous monument is the Spanish-Muslim palace complex of the "Alhambra" and "Generalife". 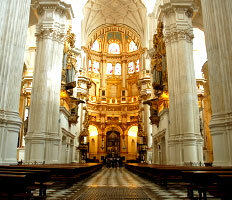 Granada has numerous Baroque and Renaissance buildings dating back to the 19th century. Airport transfers Malaga will transfer you to and from Granada by booking a personalised excursion, tour or day trips in a private taxi. The Alhambra was declared a World Heritage Site by UNESCO in 1984, and is certainly one of the most visited monuments in Spain. The "Palace City" consists of a defensive zone, the Alcazaba, the "Nasrid Palaces" and the "Generalife", a summer palace with extensive gardens. The Albayzin (or Albaicin) quarter is of Al-Andalus origin and dates back to the 11th century. 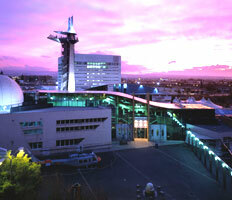 Today the area is popular for its cafés, restaurants and bars. In the evening, both visitors and locals gather at the Mirador de San Nicolas for the best views of the Alhambra and the sun setting on the Sierra Nevada. Sacromonte is known for being the old neighbourhood of the gypsies, who settled in Granada after the conquest of the city. Since the early 90s the area has developed into a tourist attraction. This enormous religious building from the middle of the 16th century offers great beauty both outside and inside, and is one of the most important historic buildings in the city. 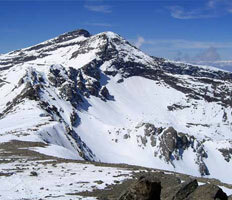 The "Sierra Nevada" mountain range is located just a few kilometres south east of Granada. Here you find the "Sierra Nevada Ski Station", which in winter time is a busy ski resort topped by the highest mountain in Spain, the Mulhacen, with a height of 3,478 meters. A couple of other interesting things to do in Granada include a visit to the Museum Science Park of Granada, which houses fascinating exhibitions on evolution, science and the history of the life, among other interesting topics. Like the sound of Granada and planning a visit? Find out more about the cheap airport transfers to Granada we offer here. It’s simply the most convenient way to travel.